BC20-21113 - Universal Power Supply (100-240V input) for all Ohmic UPM Series of Ultrasound Power Meters and BC Biomedical USP Series except UPM-DT-50SP Rev B and UPM-100SP Rev B. 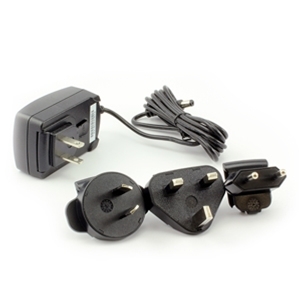 Comes with adapters for USA, Europe(Schuko), U.K. and Australia. UPM-DT-1000PA, UPM-DT-1PA, UPM-DT-10PA, UPM-DT-100SP Rev A, UPM-DT-50SP Rev A, USP-50SP Rev A, USP-100SP Rev A.